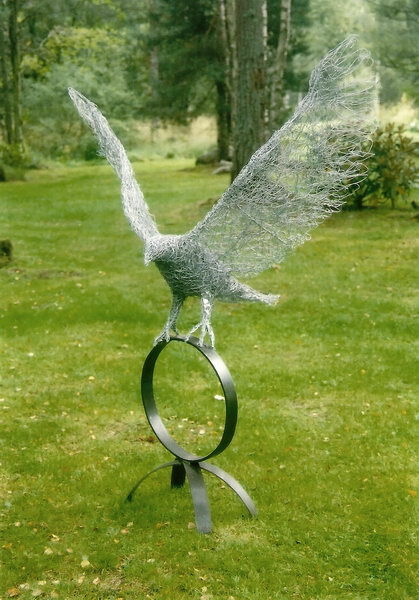 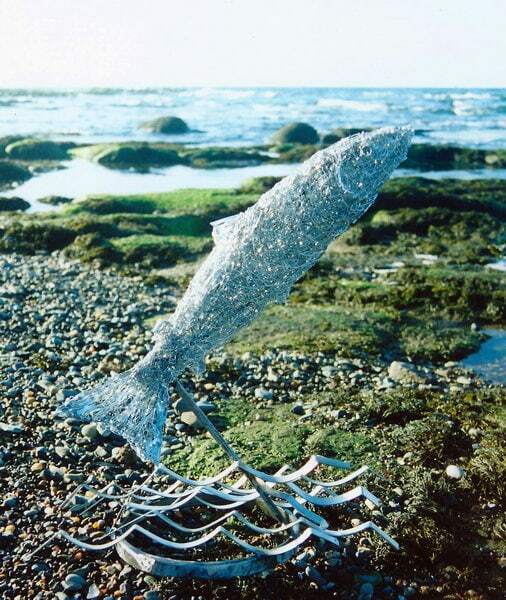 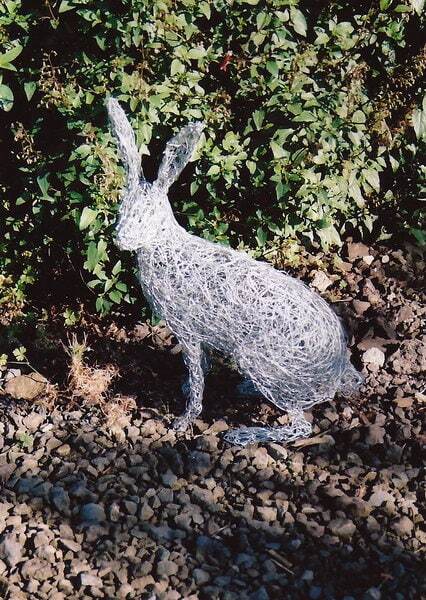 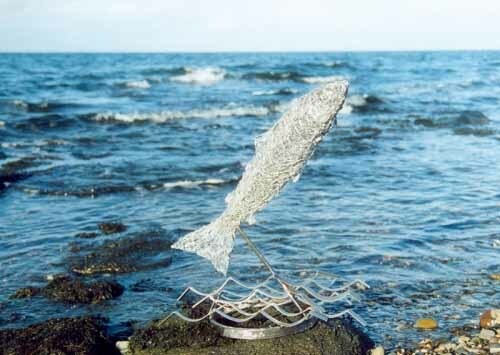 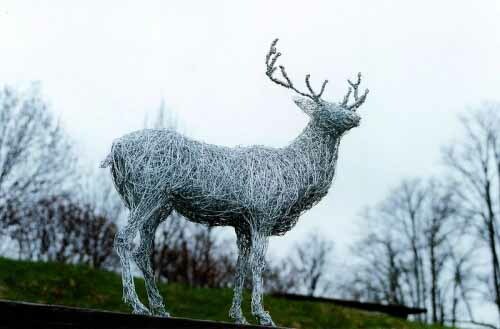 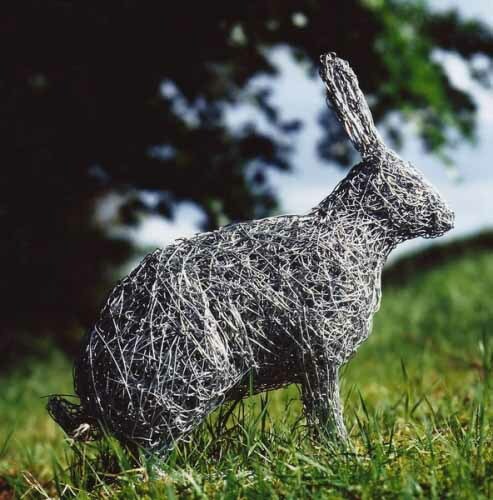 Wildlife sculptures made from galvanised steel wire, bronze wire, copper wire and recycled materials. 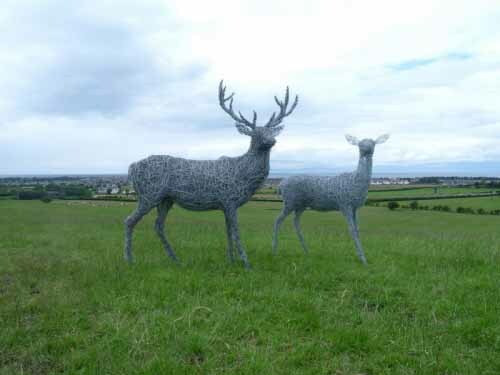 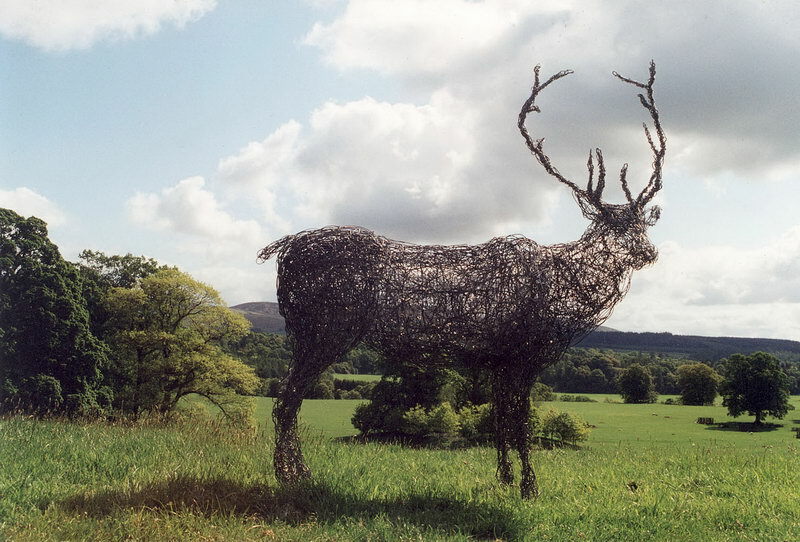 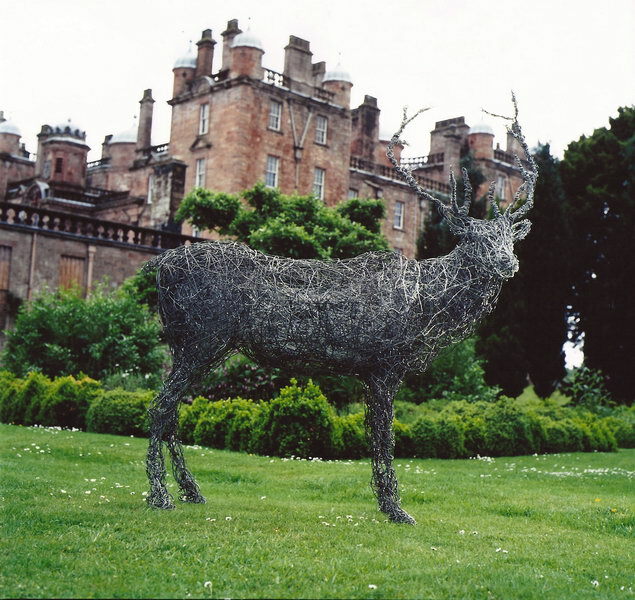 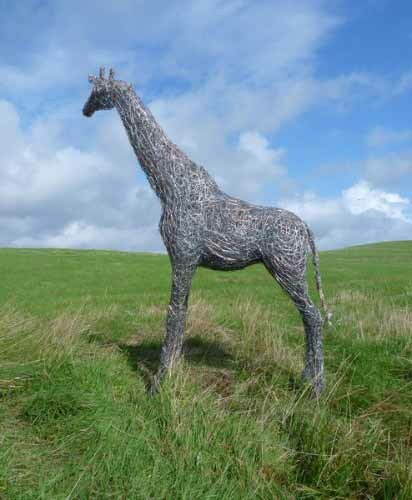 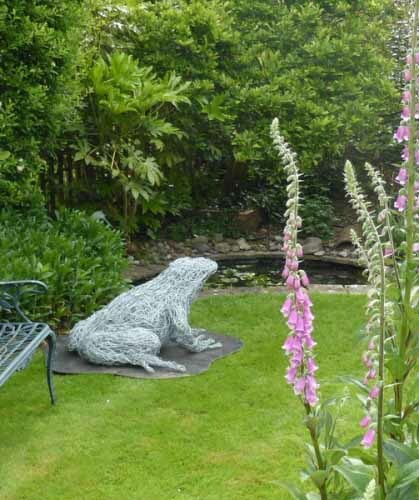 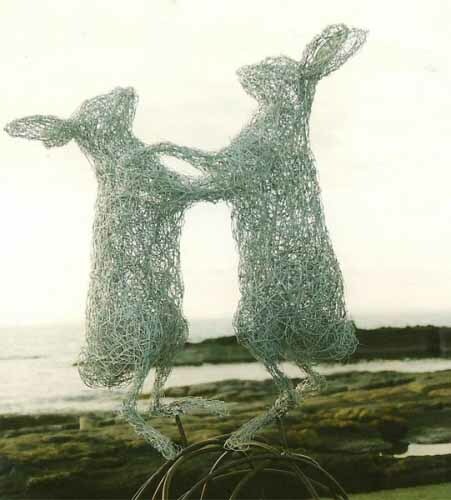 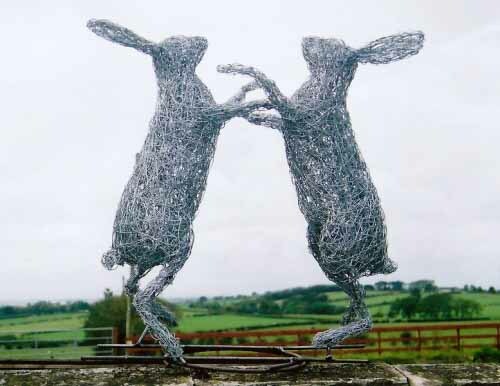 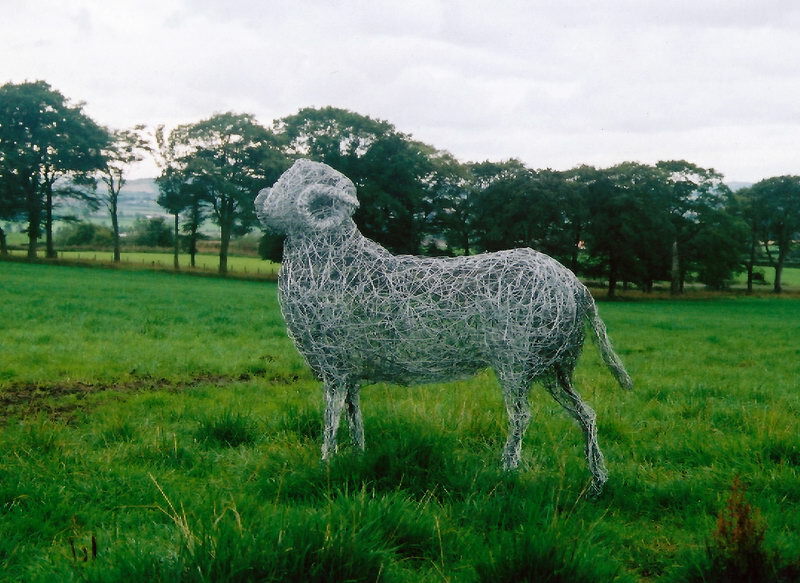 Life-size and larger than life wire animals, commissioned artworks, contemporary garden sculpture. 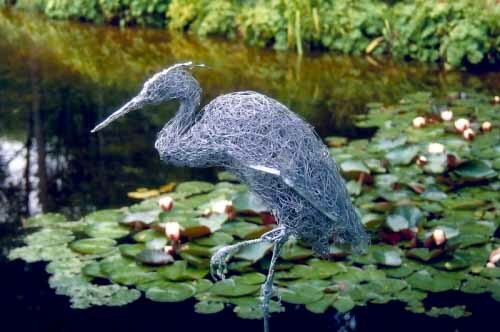 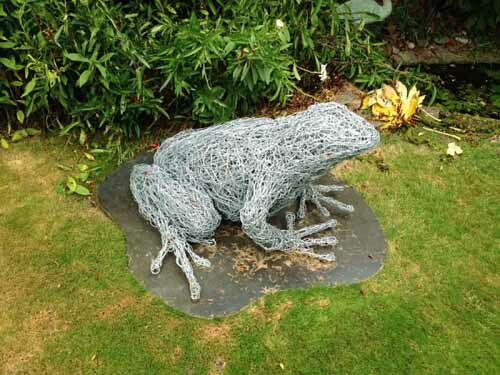 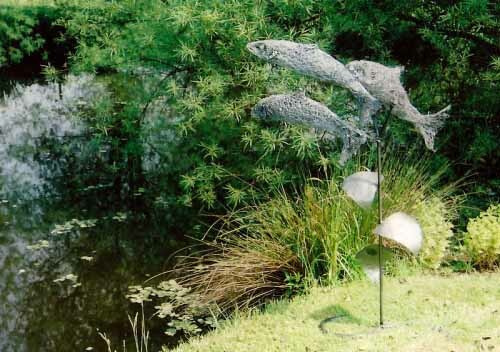 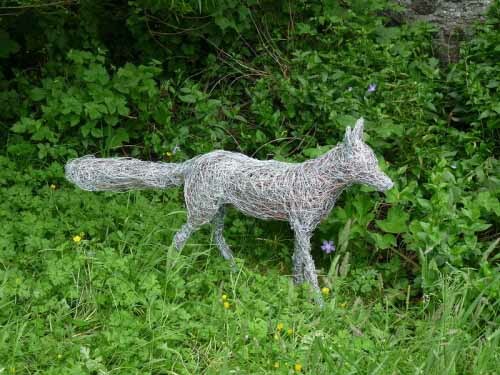 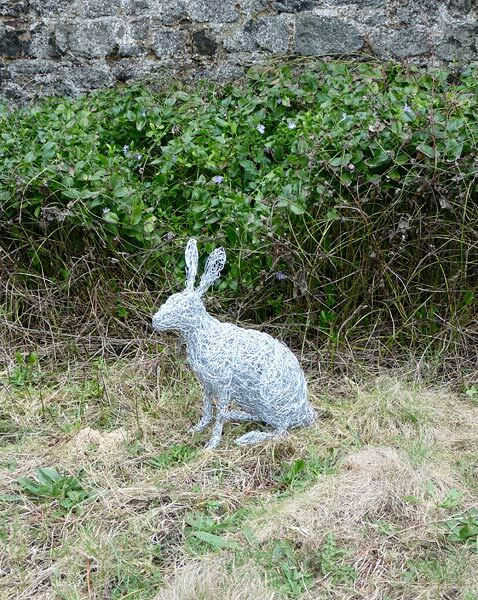 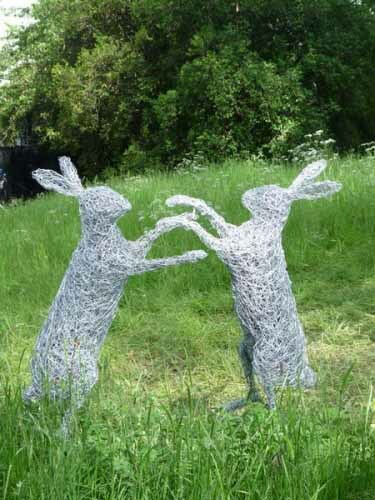 Laura J Antebi creates wildlife wire sculptures for sculpture parks, parklands, homes and gardens in steel , copper and recycled materials. 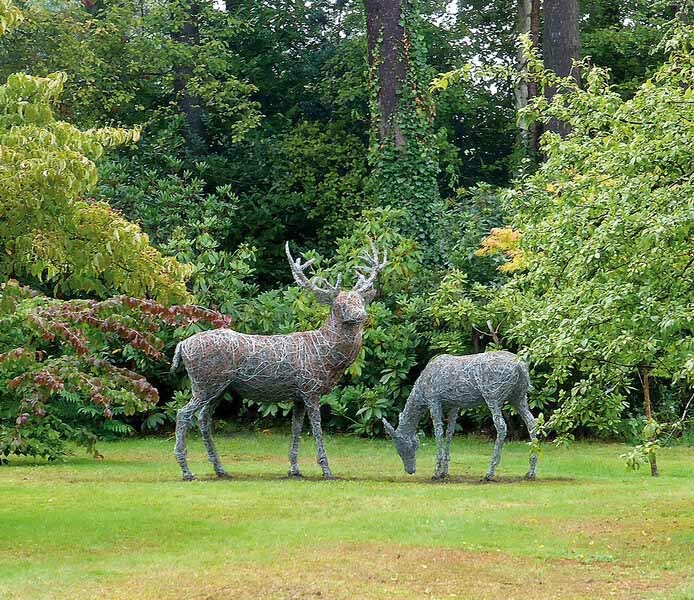 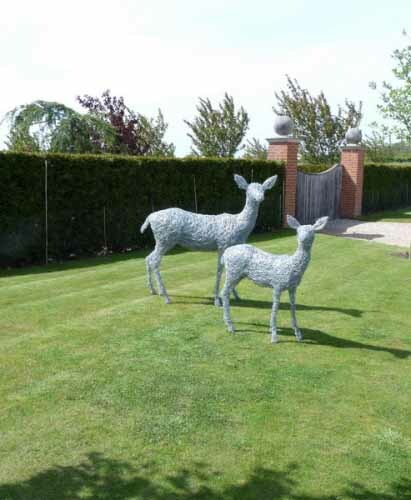 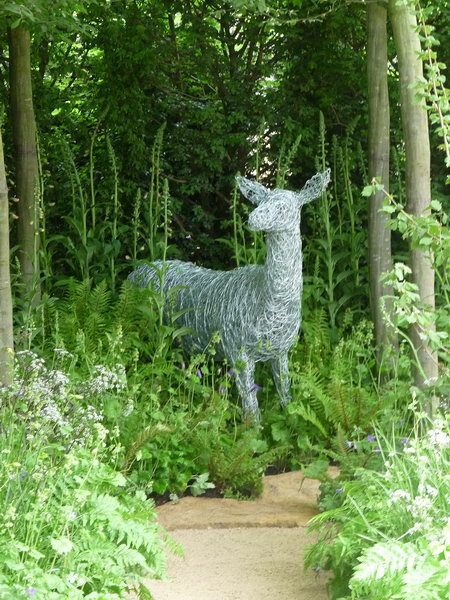 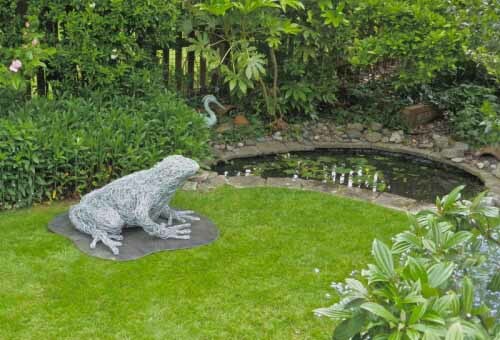 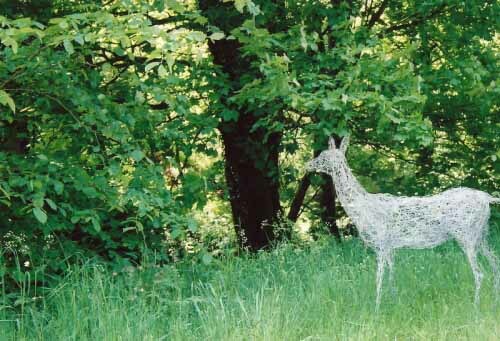 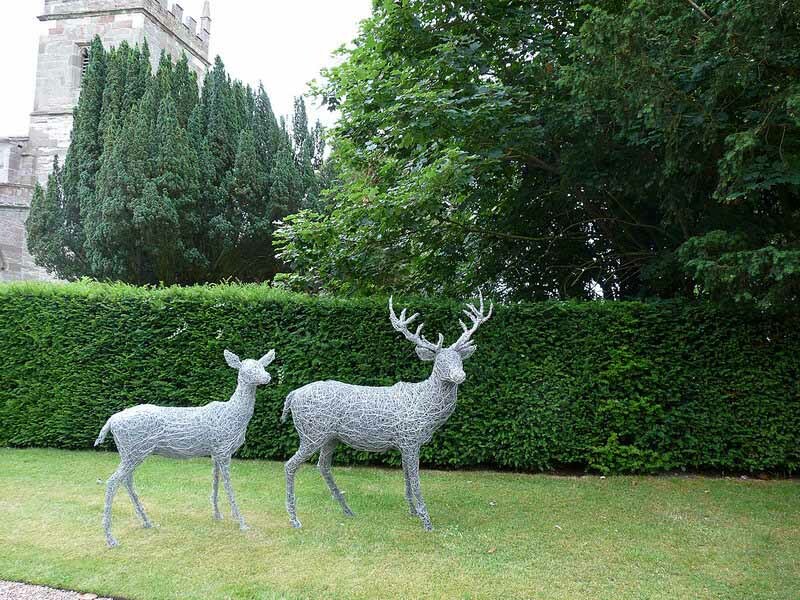 Choosing the perfect space for a piece of sculpture to feature in the garden or parkland sets the scene, reminding us of that moment when we caught a fleeting glimpse of wildlife in their natural habitat, catching us by surprise as our curiosity breaks the spell of stillness in motion. 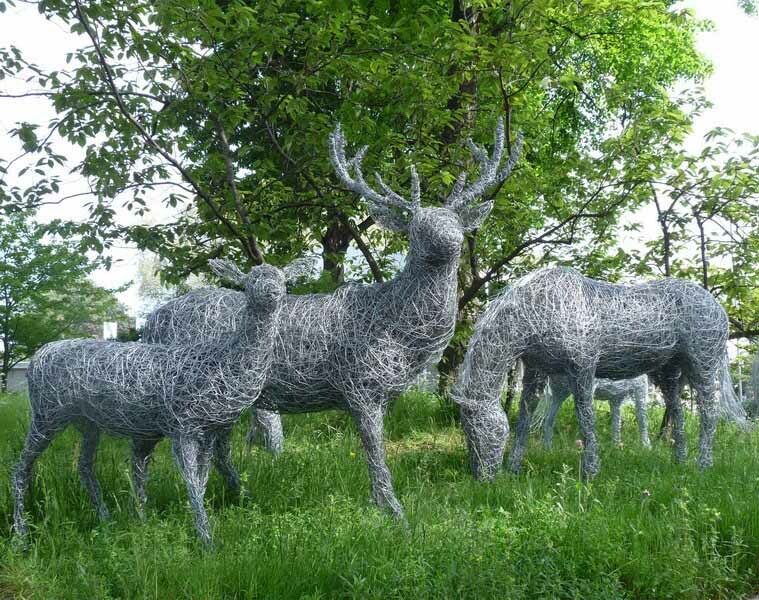 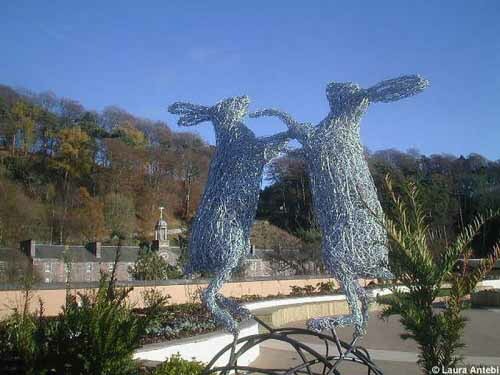 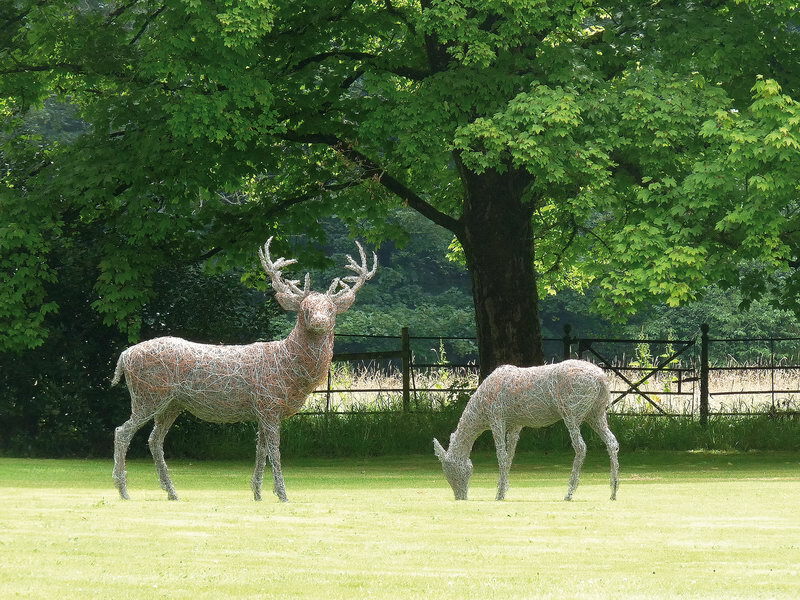 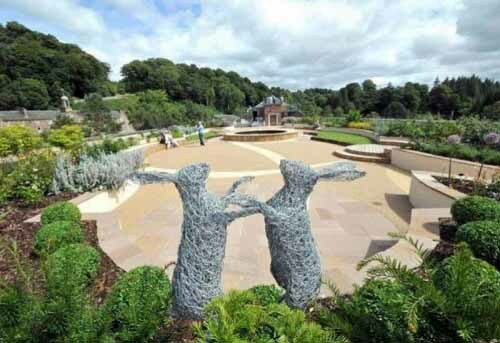 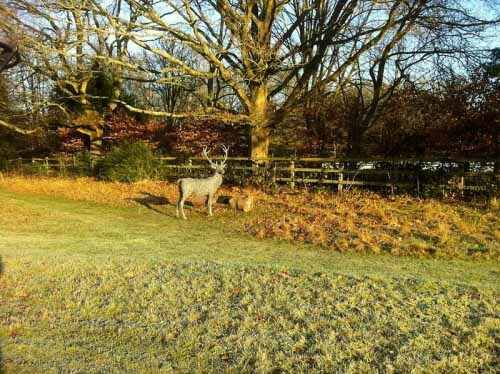 Please click on the images below to catch sight of the stag and doe sculptures grazing in the clearing or the wire March hares boxing at New Lanark Sculpture Garden.